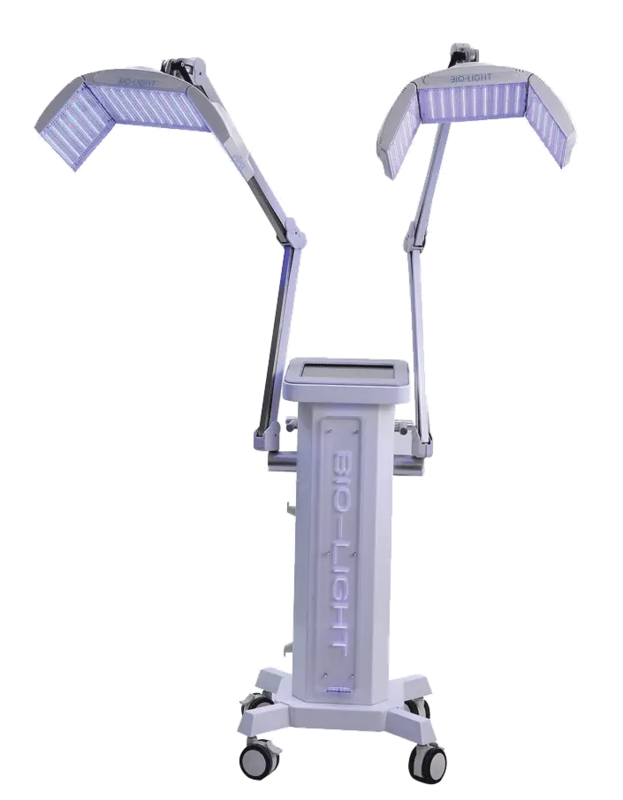 This new phototherapy device and its two 1240 LED panels will be perfectly suited for beauty and care institutes. Its two adjustable arms will allow to adjust the position of the panels composed of 3 parts to better fit the shape of the skin to be treated. 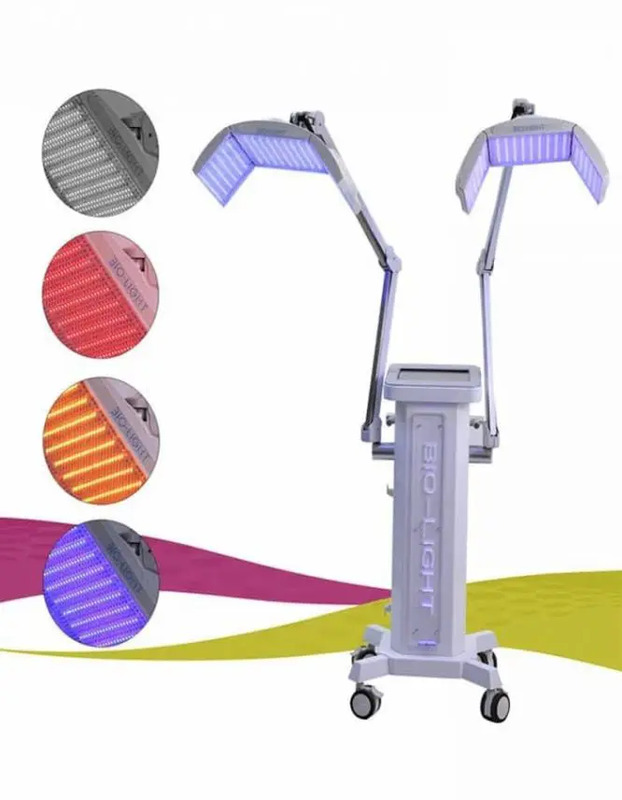 Nine automatic modes: red stretch marks, white stretch marks, scars, old scars, anti-aging for light skin, anti-aging for dark skin, acne, scalp stimulation and a free mode. 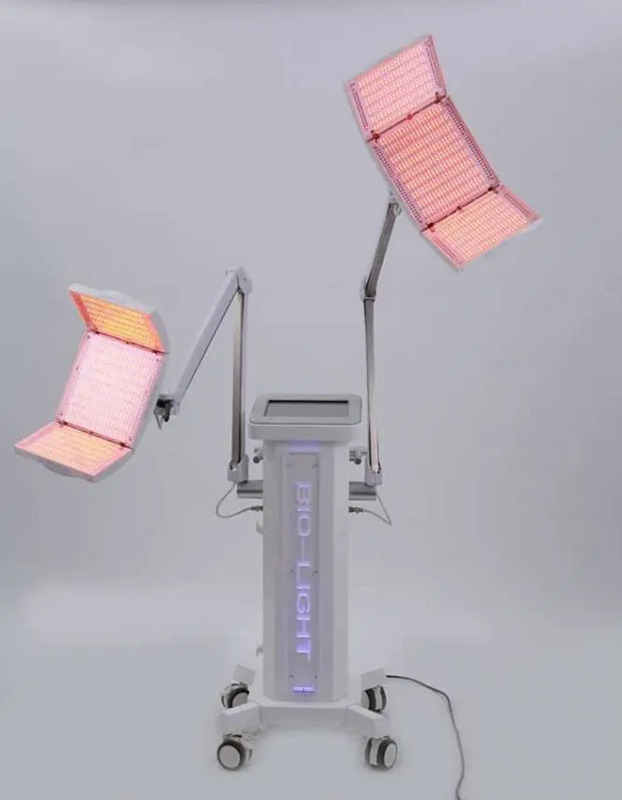 This led photomodulation device is based on a new technology that uses the power of photons to maintain skin quality, the energy of light transfer to the energy cell and then accelerate cell growth and blood circulation, stimulate fibroblast cells and collagen production. 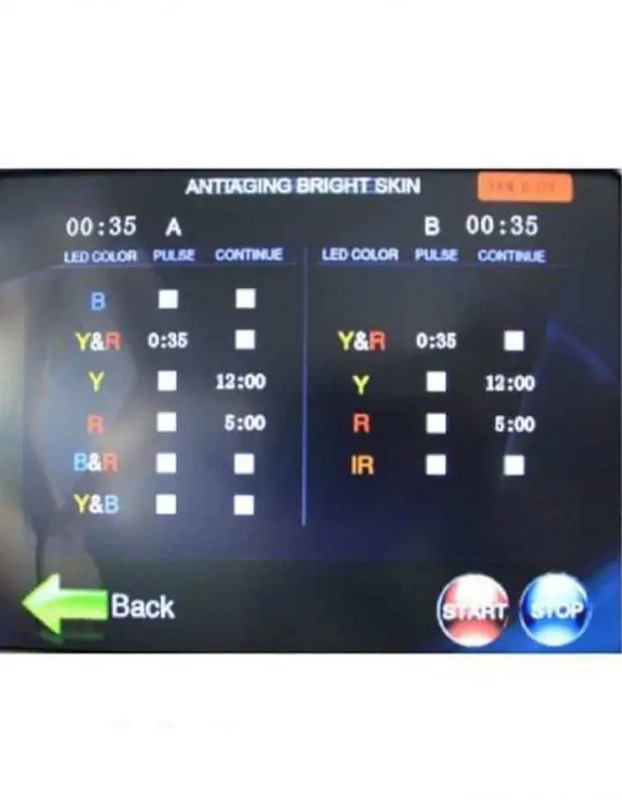 9 automatic modes (Red stretch marks, white stretch marks, recent scars, old scars, Anti-ageing, Anti-ageing dark skins, skin disease, scalp stimulation, hair loss) and a free mode.